The best looting locations to drop to on PUBG's new Sanhok map. 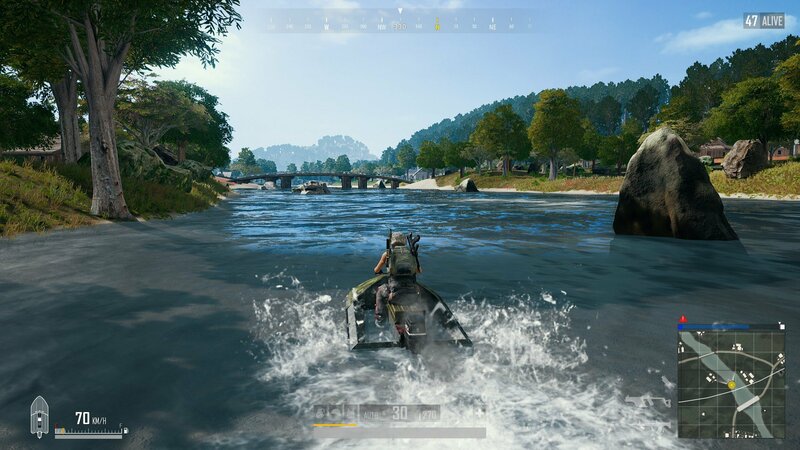 Sanhok is now officially live on the PC servers for PUBG letting players fight (and die) over every inch of its condensed, tropical island. 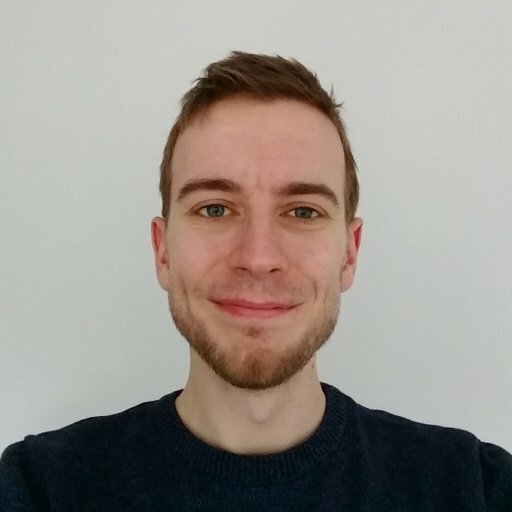 New weapons are included and the pace of the game has increased, but you can still apply the same principles as before when choosing where to loot. The main rule is expect to be fighting an awful lot more as you’ll be running into players very often. That said, Sanhok is packed with exciting new locations to visit, and some of them are an awful lot better than others. Here are the places we think you should be dropping to for loot and why on Sanhok. The new School. Despite being a relatively small location on the map, Ruins draws plenty of players each round. With a flat, open roof and single internal floor, any shootout here is likely to be over in a matter of seconds, so you’d better be sure you can get down quickly. Now that we’ve reached the final release it’s also one of the more visually intriguing locations on the island, making it well worth a visit at least once. Sanhok's plan for an open-air cave system had been talked about for quite some time prior to the map's launch, so we're glad to see it retained in the final version. 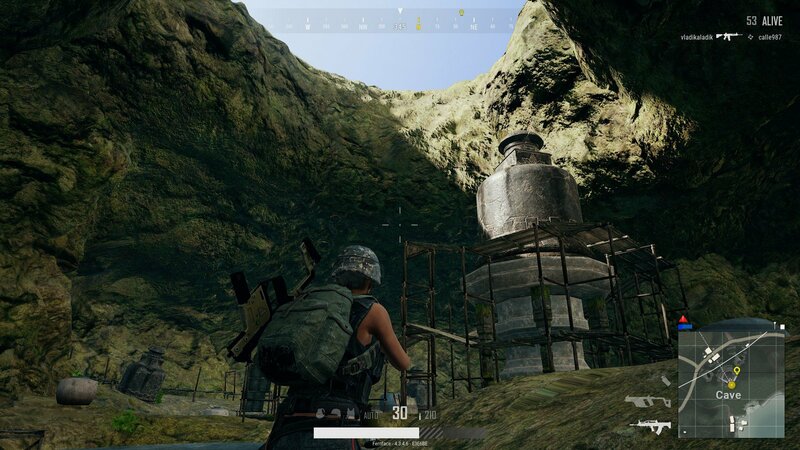 It requires a careful spot of parachuting to enter correctly, but Sanhok's cave system is certainly an exciting start for a match. The internal area is pretty open, but your best chance comes from landing on the higher levels of the central scaffolding, grabbing a weapon and taking down those scrambling for guns on the floor below. Best of all, you can leave by dramatically jet skiing out the back of the caves as if you're reinacting the end of Resident Evil 4. Even when the starting fight has finished, you’ll need to keep your wits about you. Plenty of players will drop near to Bootcamp and move in once the gunfire dies down. It’s a sneaky tactic to try and take out the beleaguered survivor, so make sure you aren’t caught out. If Bootcamp sounds a bit too spicy for you, consider flying to Camp Alpha/Bravo/Charlie instead. Whichever is furthest from the plane path will see you meet the least resistance and still earns you more than enough gear for a couple of players. Did we say Ruins was the new School? Paradise Resort may well end up being more accurate. While Temple’s battles may end in a matter of seconds, the larger, multi-building compound of the Resort draws the fight out a good bit longer. That said, we've found fewer players dropping here since the early tests, with most preferring to fight it out in Bootcamp. This is good news for you as you'll find more than enough equipment here to get you set for the rest of the match. You will have to fight for it though. It’s easily one of the coolest looking locales the map has to offer, but be warned, the rooms in the three main buildings can prove hit-and-miss. We’ve landed early in multiple games to find the top floor of our chosen building entirely devoid of weapons — the result of which is a short, bullet-ridden trip back to the main menu. There's not much here to distinguish Pai Nan from places like Ha Tinh or Sahmee in terms of loot, but the setting makes for some pretty cool gunfights. With a river splitting the small village in two, battles tend to occur on either side before the winners on each end turn to face each other. It’s a fun arena to take a fight in, and having squads duke it out either side of the water is quite the spectacle. Recently we've seen fewer and fewer players dropping to Pai Nan, making it a great, central location to hoover up some quality early loot. Thanks to the increased drop rates for higher tier guns and gear, it’s possible to land pretty much anywhere on Sanhok and come away at least moderately well equipped. For example, we landed in a small cluster of buildings on the north side of the island and came away with more than enough ammo, weaponry and healing to see us through the rest of the match. Even if your building doesn’t have much, it won’t be a long journey to the next set where you can stock up on more supplies. If you’re looking for a quieter landing using this method, you’ll need to pay close attention to both the flight path and the circle. The first ring will already be visible on the map when the plane sets off, so to find a safe spot you’d do best to avoid heading towards the ring, but most importantly you should travel far from the plane’s route. Due to the smaller island, dropping anywhere close to the plane’s path will most likely see you in combat seconds after you land. Then again, you probably shouldn’t be playing on Sanhok if that doesn’t sound like your cup of tea. 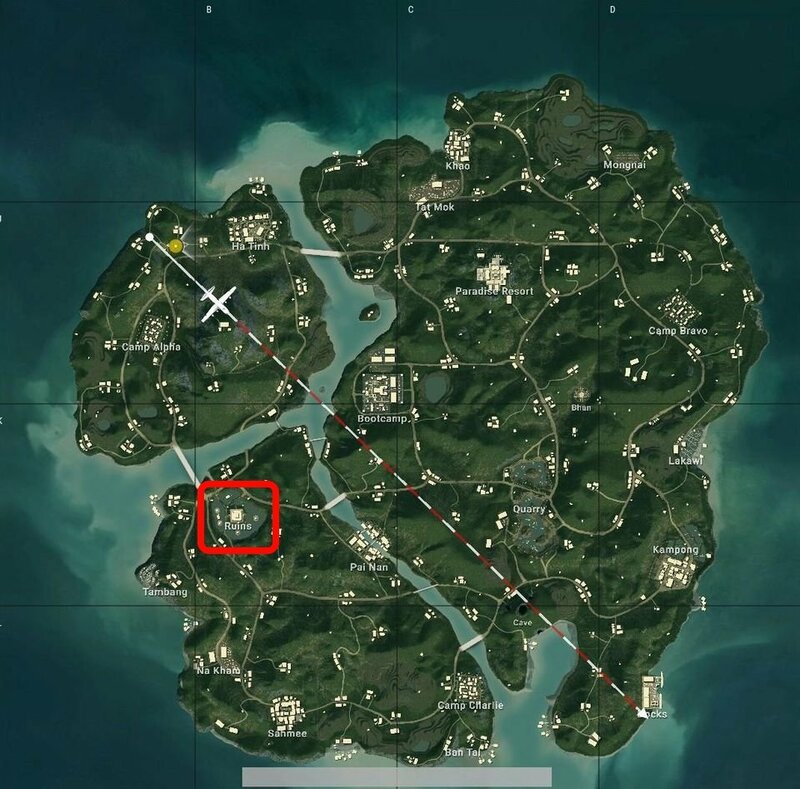 As maps go, Sanhok is pretty generous, but there are a few locations that we honestly think are best left alone. The northern Tat Mok offers so few buildings in such an open area that you're better off landing at Khao or even at the isolated buildings nearby. Bhan’s unique design might look exciting with its raised wooden walkways, but unfortunately landing on these via parachute can prove extremely fiddly, and you'll often find yourself tossed to the floor, weaponless. Considering how open the spot is, you're likely to end up dead even if you're lucky enough to snag an early gun. It's worth a trip just to see the unique environment, but best crossed off the list when hoping to progress far in the game as even the loot isn't anything special. In general, games of Savage play out in the same manner as a typical PUBG match but with the encounter rate dialled up to eleven. Expect to run into players regularly, and make sure to scan the horizon constantly as you move. If you thought bush-camping was bad on Erangel, prepare to be infuriated by Sanhok. most of the map is coated in long, dark green grass, which makes spotting most players damned tricky. Combine that with a broad, ferny bush and you can become all but invisible with the right positioning. In Third Person Perspective this is incredibly powerful, as you can see in the images below. Check the bushes around you carefully in the latter stages of the game, and make use of them yourself where possible.